All health and safety consultants will inform you that the construction industry is one of the most dangerous industries as far as health and safety is concerned. However, the Olympic build has proven that when work is properly planned, managed and supervised health and safety risks do not have to be so high. In the news this week there has been many reports praising all the work that has gone into making sure the construction of the London Olympic buildings was carried out correctly. It is hopeful that other construction firms and freelancers will take note of the excellent health and safety record and work hard to reduce the number of accidents which occur in any sized job. The HSE Director for the Olympics, Stephen Williams, suggested that the report shows that the industry does not have to be so accident prone. By taking on a no scapegoat approach to construction workers are able to highlight problems without worrying of any backlash coming from their concerns. If you work in construction it is vital that you follow the laws, regulations and guidelines which are there to protect you and your employees. Health and Safety Services are available to make sure you are fully aware of where you stand and to educate you on how to reduce the risks involved in this dangerous industry. 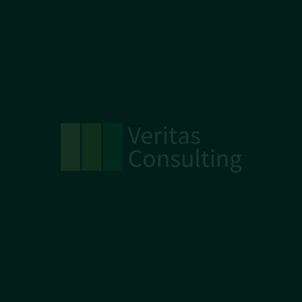 The health and safety services offered by Veritas Consulting include assisting you with your CHAS application. Being CHAS registered can help you to win more contracts and gain work within the public sector. It is also a great way to check over and freshen up your policies and procedures. If you want to make sure the environment that you and your employers work in is as safe as possible there is a lot that can be taken from the success of the Olympics build. If you require further assistance with your CHAS application or any other health and safety services contact the professionals. Call 0800 1488 677 for more information.